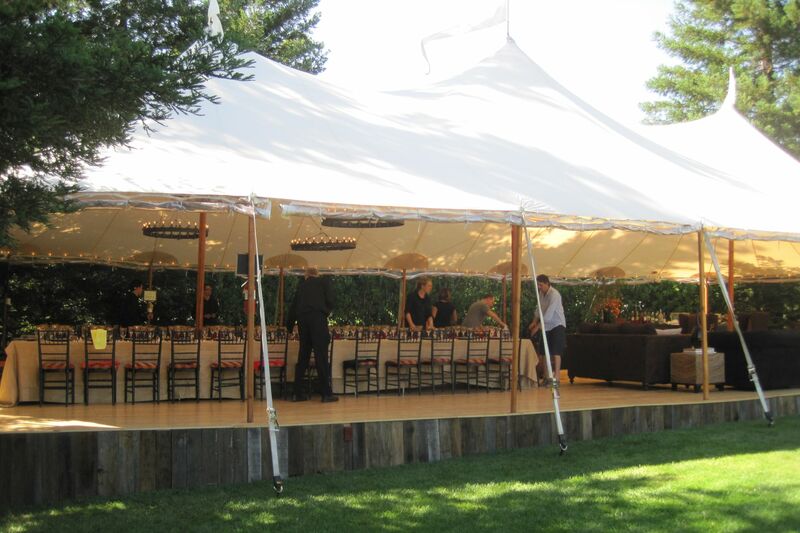 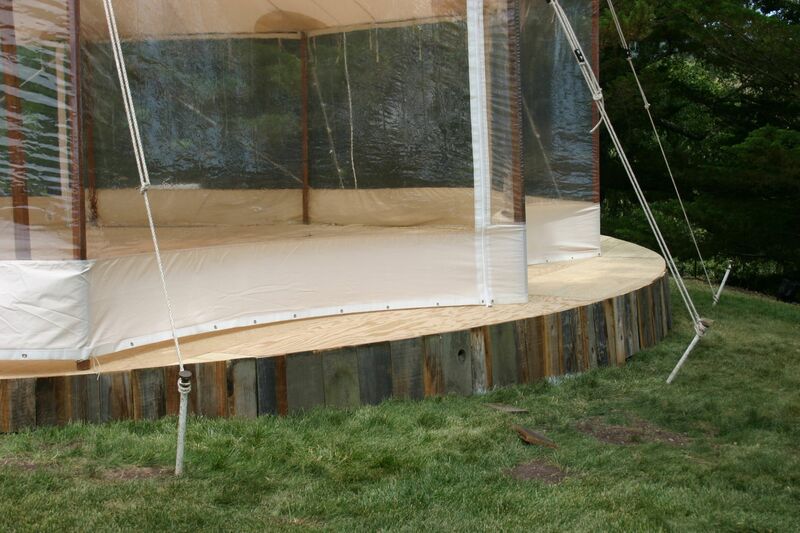 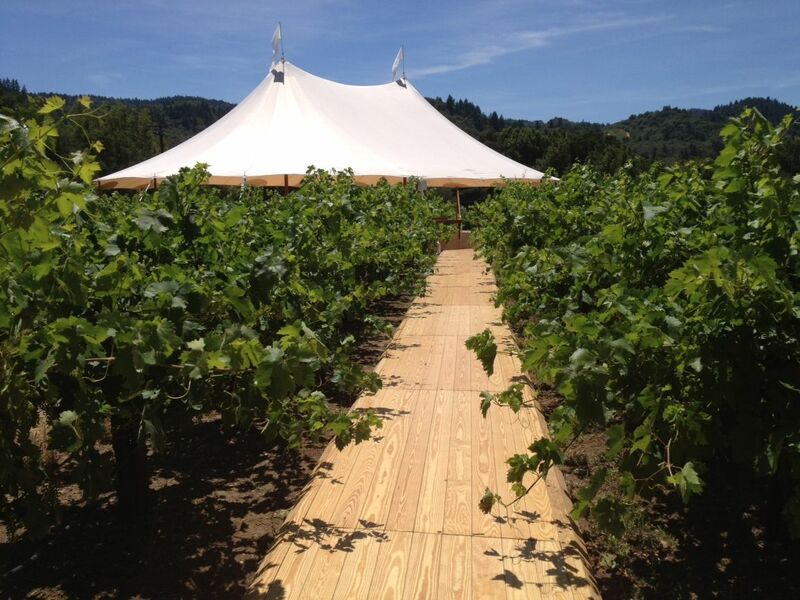 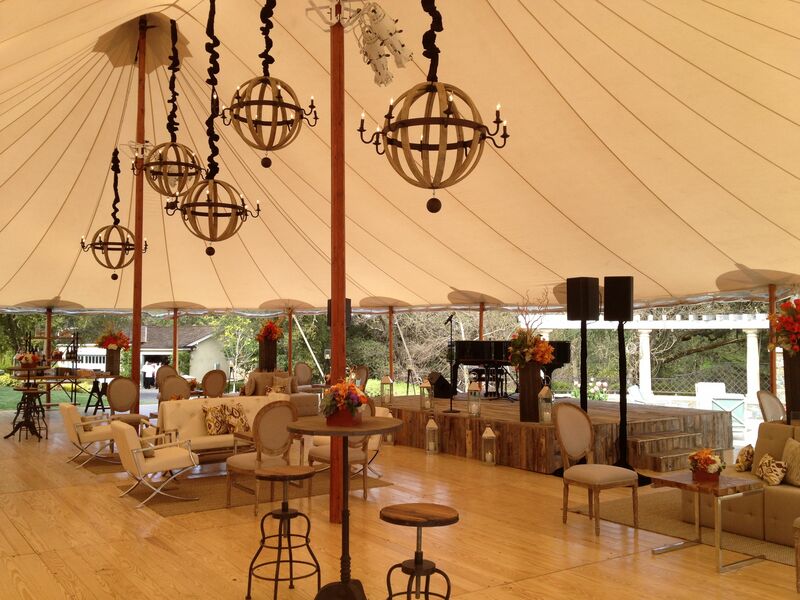 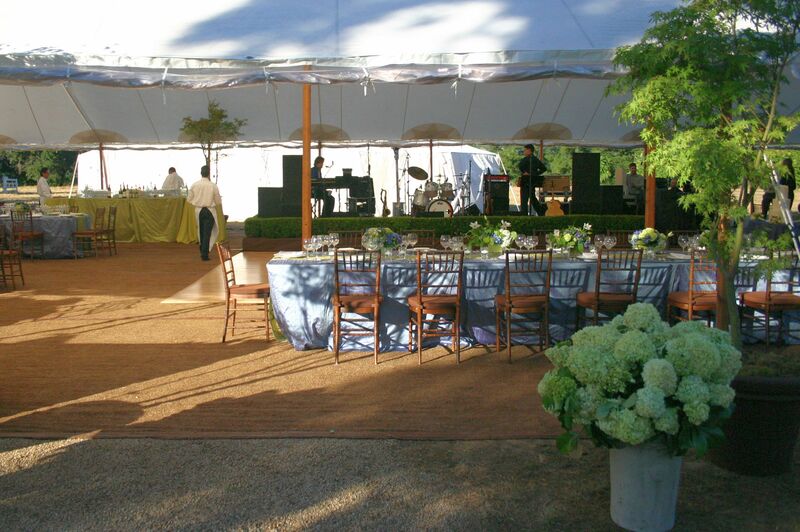 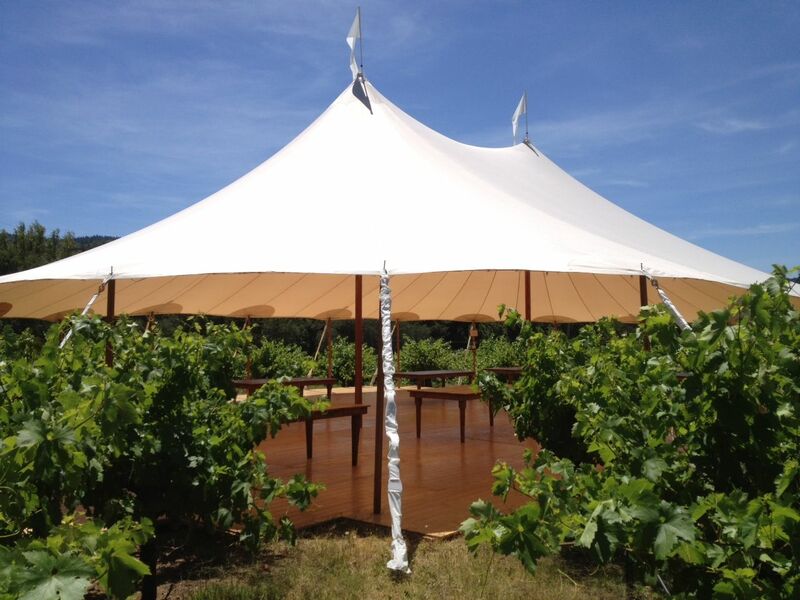 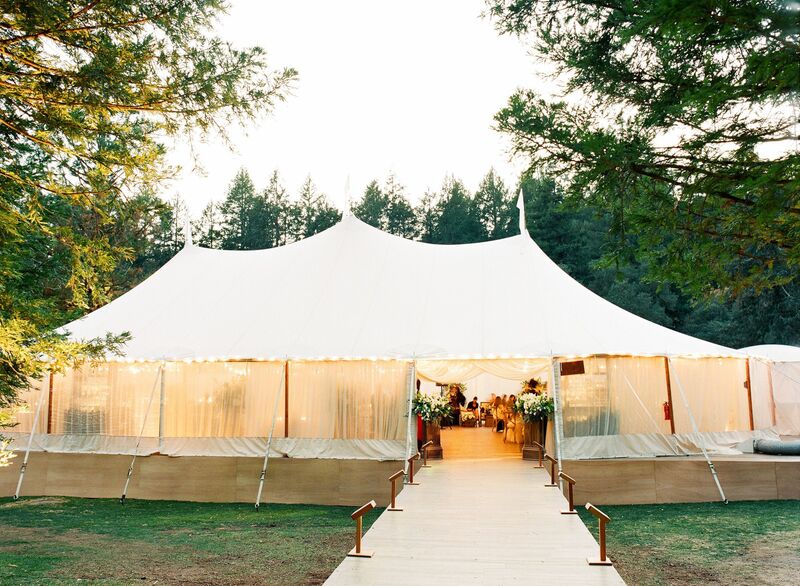 To perfect your event site, a full sub-floor can be constructed on which to install the tent. 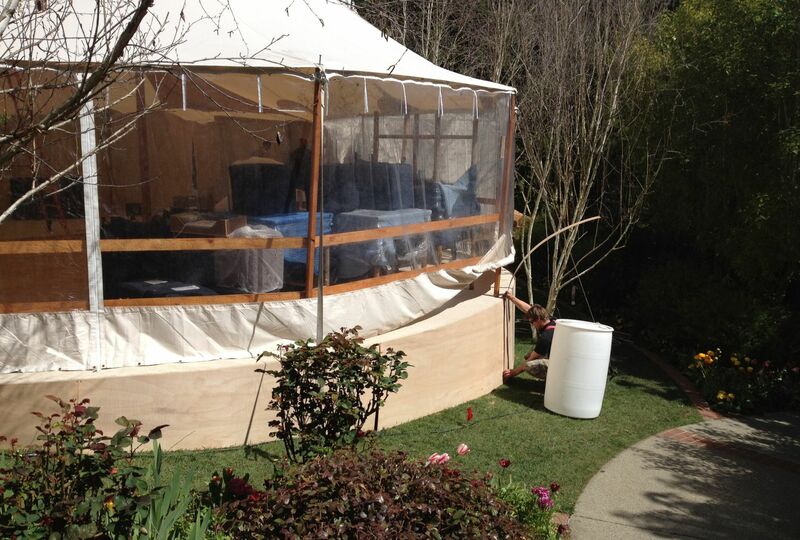 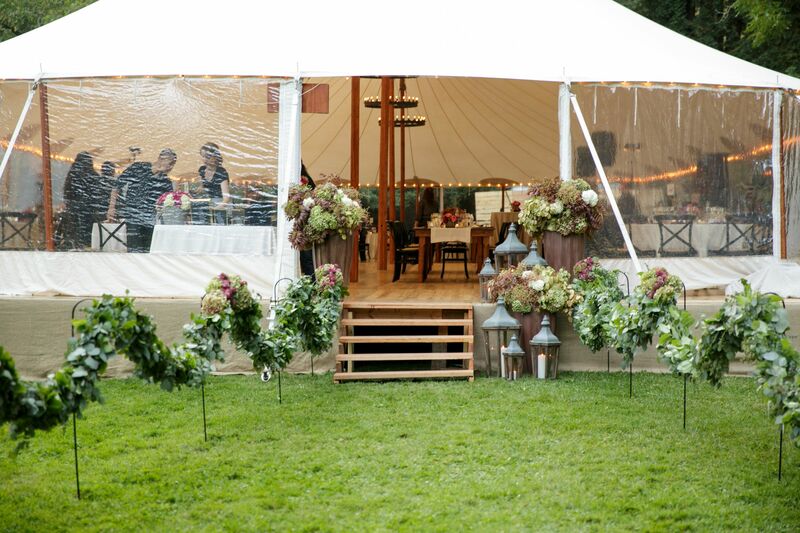 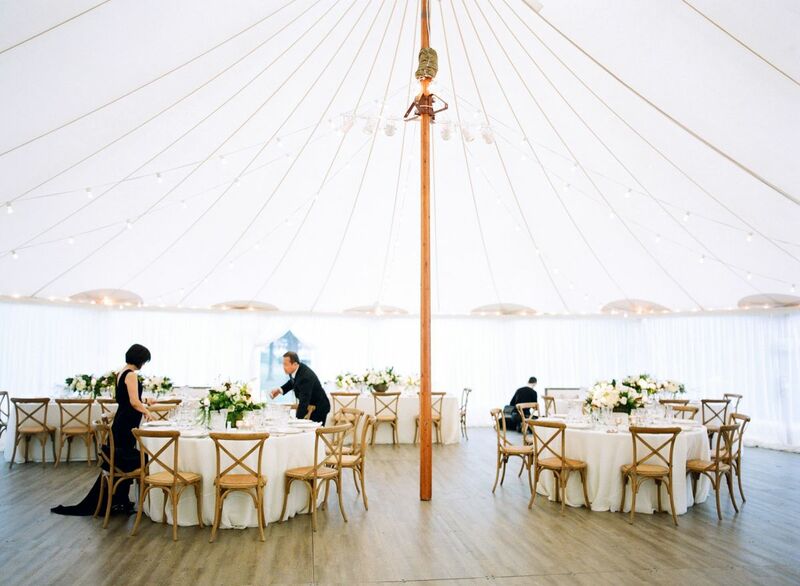 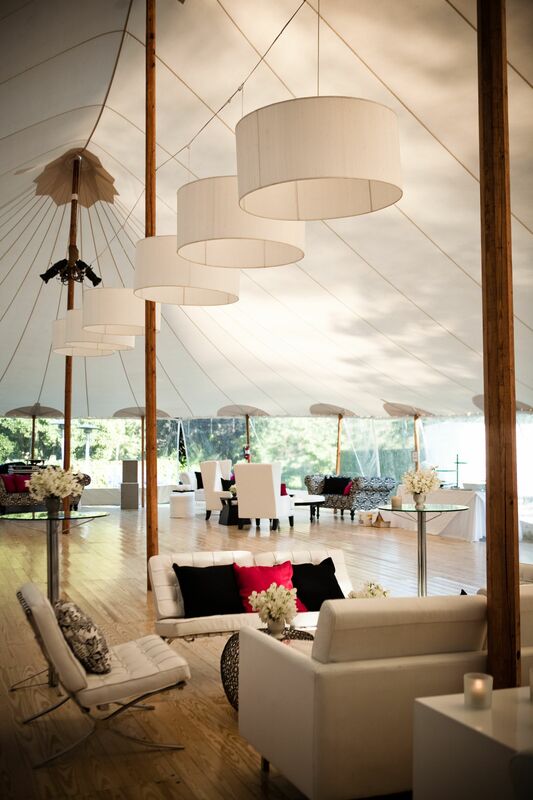 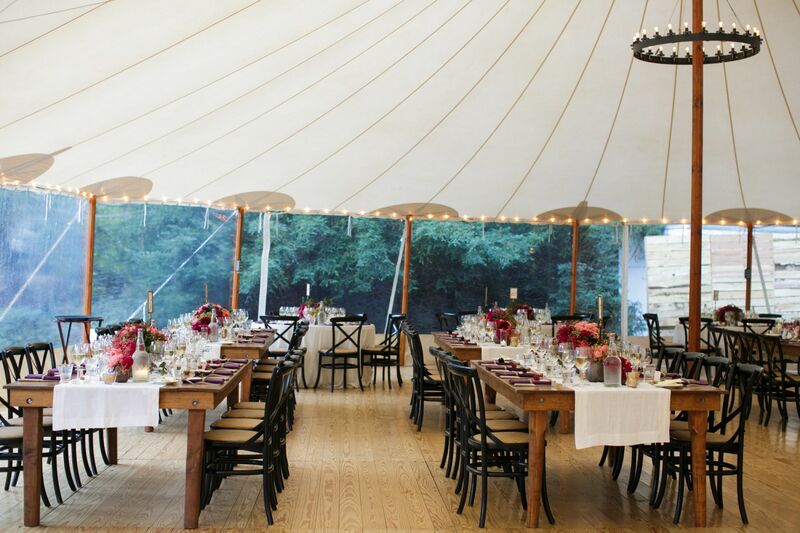 Considered our signature, Zephyr Tents offers several styles of unique wood flooring – pine, walnut and weathered grey. 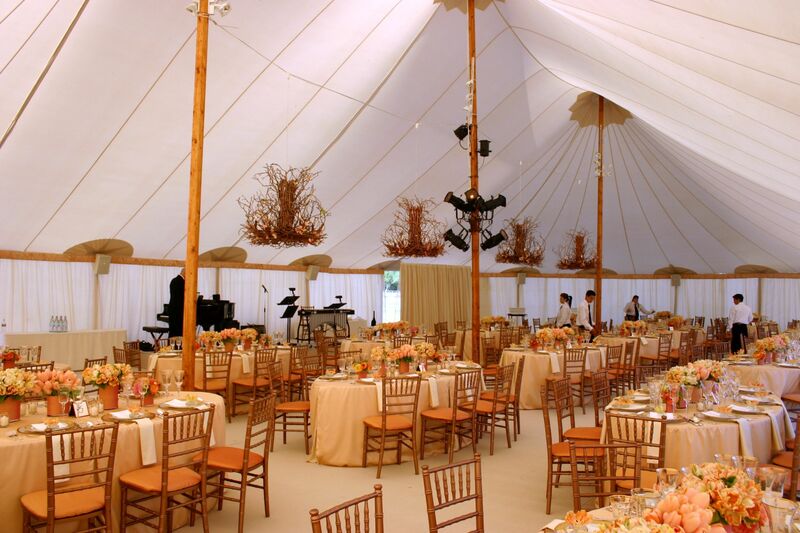 This beautiful wood flooring turns your space into a elegant dining room and relieves the need for a dance floor. 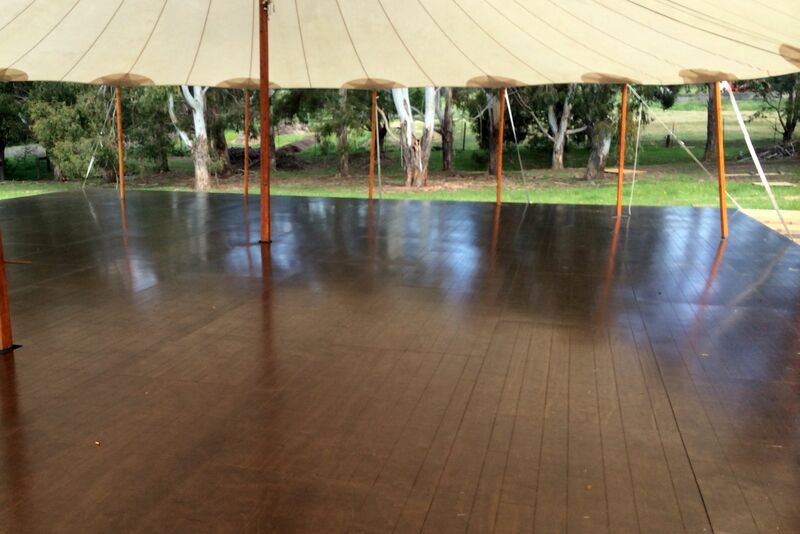 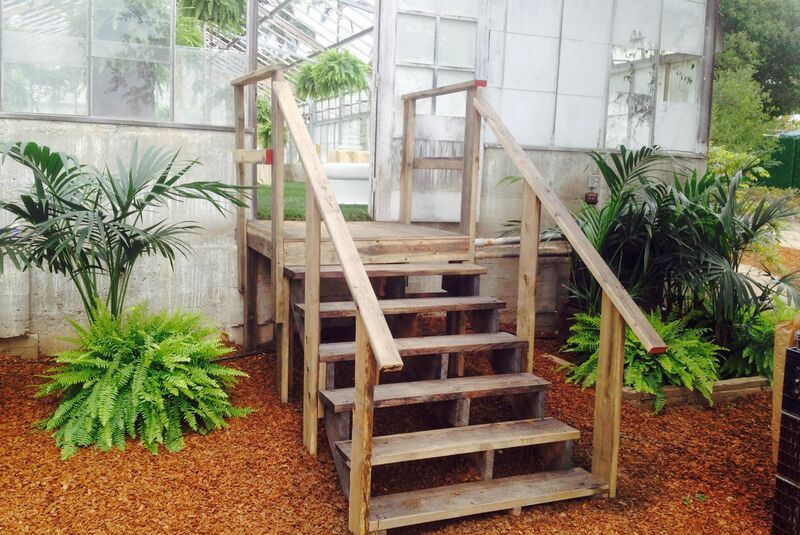 We also offer traditional plywood sub-floors covered in carpeting or astroturf for ground that is level or sloped. 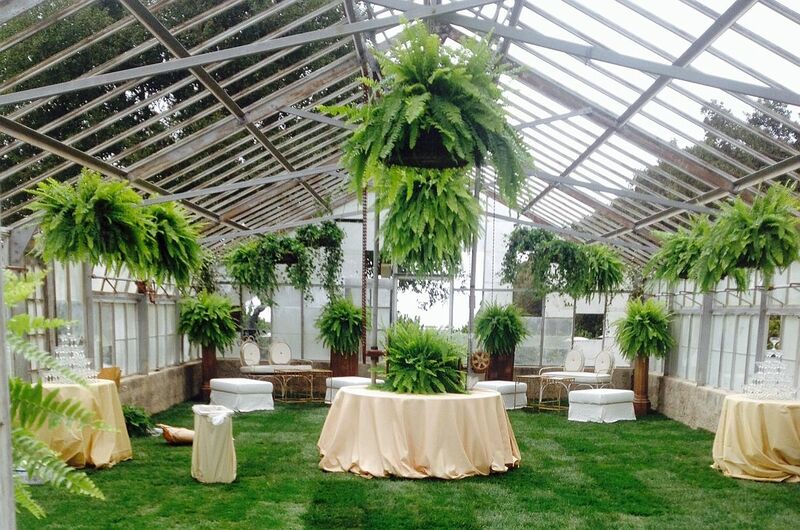 Astroturf can also be installed directly on the ground without a sub-floor to help with the unevenness of the ground and provide more comfort for guests. 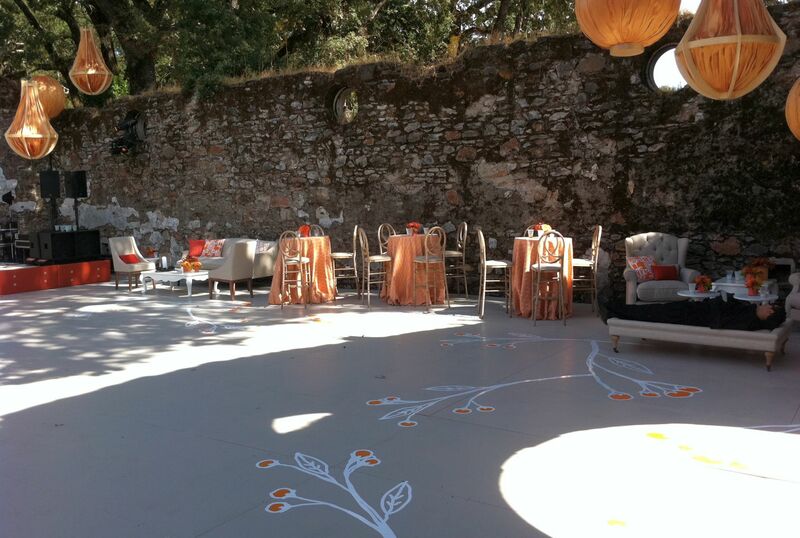 Other custom flooring options such as pool covers and plank floors are available as well.